Each year, millions of Americans experience back pain that ranges in severity from mildly annoying to debilitating. The National Institute of Neurological Disorders and Stroke estimates that 80 percent of the population suffers from back pain at some point in their life time. In addition, 25 percent of adults have experienced issues within the last 3 months. According to the National Institute of Arthritis and Musculoskeletal and Skin Diseases, back pain is one of the most common medical problems in the United States. It can range from a dull, constant ache to a sudden, sharp pain that makes it hard to move. Pain can begin instantly as a result of an accident or injury, or it can develop over time due to age and body degeneration. Unfortunately back pain is commonly misdiagnosed as doctors tend to treat only symptoms instead of determining the root cause of the issue. This can lead to the over prescription of medications and unnecessary surgical procedures. Through exercise, proper diet, and physical therapy less invasive solutions can be utilized to determine the underlying cause of a patient’s pain while strengthening their body as a whole. Use this guide as a method of understanding the pain you are experiencing as well as the treatment options you have at your disposal. Back pain is becoming a growing concern for millions of hard-working Americans. In fact, the Council for Disability Awareness recently completed a study on the number of Americans who have filed short-term and long-term disability claims. Over 20% of short-term and 29% of long-term claims can be attributed to musculoskeletal disorders affecting back and spine, knees, hips, and shoulders. In order for you to seek treatment, you must first understand the pain. Just like any condition, you must first understand what you are dealing with before you can seek treatment. Back pain can be categorized into three groups based on the duration and severity of the pain. Acute, or short term, lasts from a few days up to a few weeks and is the most common type of back pain. This usually occurs when you experience some sort of trauma like an accident or a fall. The intensity of the pain can range from mild to severe. In most cases, the initial symptoms subside over time through rest and self-care. Subacute is a subset of acute pain that can last anywhere from 6 weeks up to 3 months. Chronic is defined as pain the persists for 12 weeks or longer, even after the initial injury or underlying cause has been treated. 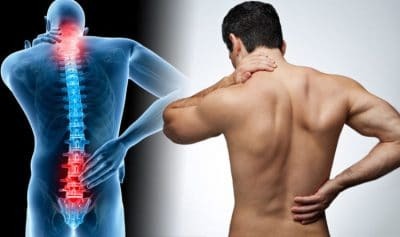 The Cleveland Clinic describes chronic back pain as a complex disorder that must be managed with a multi-disciplinary approach that addresses the physical, psychological and socioeconomic aspects of the disorder. Fortunately, chronic back pain affects only a small percentage of patients. Sprains and Strains are the most common causes of back pain. Sprains are caused by overstretching or tearing of the ligaments, while strains are tears in the muscles and tendons. Herniated or ruptured discs often time referred to as a slipped disc occurs when the material inside of a spinal disc bulges or ruptures putting pressure on a nerve. Radiculopathy is a condition caused by compression and inflammation to the spinal nerve root. Pressure on the root results in pain, numbness and possibly a tingling sensation. Most commonly this occurs when a herniated disc compresses the nerve root. Sciatica is a form of radiculopathy caused by compression on the sciatic nerve. A Traumatic injury such as a car accident or a major fall can cause a number of back conditions resulting in pain ranging from mild to severe. The sciatic nerve is the largest and widest nerve in the human body. It begins in the lower back, runs through the buttocks, into the back of the thighs, and all the way down to the feet. The sciatic nerve plays a vital role in connecting the spinal cord with the muscles of the legs and feet. Sciatica refers to pain that radiates along the path of the sciatic nerve typically affecting only one side of your body. Sciatica most commonly occurs when a herniated disc, bone spur or spinal stenosis compresses part of the nerve. This causes inflammation, pain and often times numbness in the affected leg. When dealing with back pain it is important that you seek medical attention right away. Getting prompt treatment serves two purposes. First, early treatment makes it more likely that you’ll recover from your injury or condition faster. Second, the quicker you receive treatment the more likely you will recover in full cutting down on the chances your condition will become chronic. No matter what, you should resist the urge to downplay the seriousness of your injuries. This can drastically delay your recovery. For most people, especially as they age, back issues becomes a fact of life. But there are many things you can do on your own to reduce the risk of injury, minimize the pain and prevent its reoccurrence. Consulting a doctor is important when diagnosing your pain. Your doctor will examine your back and assess your ability to sit, stand, walk and lift. These assessments will help determine the source of your pain as well as its severity. This can also help to rule out more serious conditions. Once the testing is complete your doctor can make a diagnosis and begin exploring treatment options. Word to the wise, even with the advancements in medical technology, doctors still rely on patients to report symptoms, the severity of pain and activities that are difficult to perform. So when communicating with the doctor be honest and accurate, err on the side of inclusion and don’t speculate. When dealing with the back pain whether it be acute, sub-acute, or chronic you will find a physical therapist can be your best friend. Your physical therapist can help you improve mobility and functionality while reducing inflammation and pain. In many cases the use of physical therapy can help you navigate your recovery while avoiding expensive surgeries or unnecessary medication. When people think of physical therapy its perceived as reactionary treatment because many people turn to physical therapy after an injury or surgery. While physical therapy is a great method for recovery it also has many proactive benefits. Instead of waiting for the injury to occur, there are ways to prevent it from happening in the first place. Through regular screenings with your physical therapist you can receive a wealth of knowledge that will assist with injury prevention. Health screens will provide the patient body awareness, proper body mechanics as well as educate the individual on areas they could strengthen. As we age we develop areas of weakness and tightness that can lead to other muscle compensations. The screens will assist the therapist in identifying those areas so they can put together proper stretching and strength exercises to aid the individual with their daily lives.